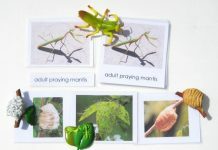 Yes, praying mantis do lay eggs but their eggs do not resemble any bird’s or reptile’s eggs. The female mantis typically lays foamy case made up of frothy liquid encasing 100 to 200 eggs. The foamy case protects the eggs from wind and rain. Many other insects guard their eggs in pretty much the same way. For instance, moths are known to protect their eggs with their stingy hairs. Let us now study when do praying mantis eggs lay eggs and when do these eggs hatch. 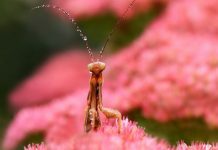 When Do Praying Mantis Lay Eggs? 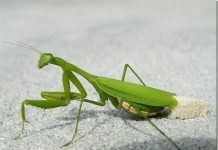 Just like praying mantis can mate any time during the year the female mantis lays eggs without any particular season. 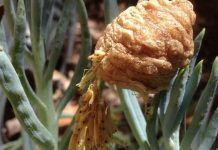 Nonetheless, the female mantis typically deposits eggs in spring. When Do Praying Mantis Eggs Hatch? Well, it generally depends on the species. 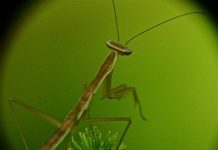 The eggs of the smaller mantis take 21 to 28 days to hatch while the bigger species takes 28 to 42 days to hatch eggs. 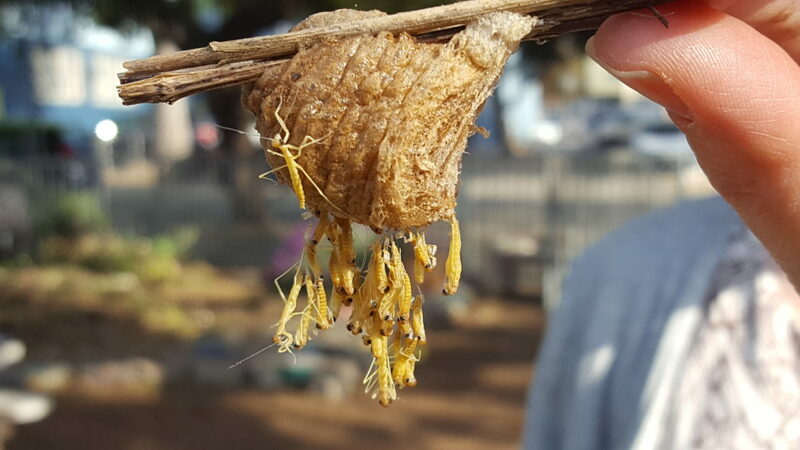 Similarly, the smaller female likely deposits 100 eggs in a single ootheca whereas the bigger female can lay as many as 200 eggs in a sack. Read More: Do Praying Mantis Die After Laying Eggs? All eggs in the same ootheca hatch at the same time. The mantis eggs hatch in summer because the pest insects emerge in summer. The newly hatched baby praying mantis need tiny insects to feed on. Therefore, even in summer the hatching needs a couple of weeks of warm weather. 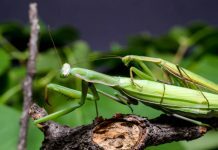 The female mantis is clever enough to deposit eggs atop one-foot tall grass but sometimes it lays eggs on twigs. The higher is the egg from the ground, the safer it is. What happens when the Eggs Hatch? Soon after hatching, the baby mantis will crawl within the protective case and hangs on silken threads 2 inches below the case. Moments later, the young mantis will land on the ground and find its own way of surviving in the wild. It all happens with 60 to 120 minutes. The ootheca doesn’t change its texture even when the hatching is about to occur. Therefore, it’s pretty hard to assess if the mantis eggs are actually hatched unless a baby mantis crawls out of the case.